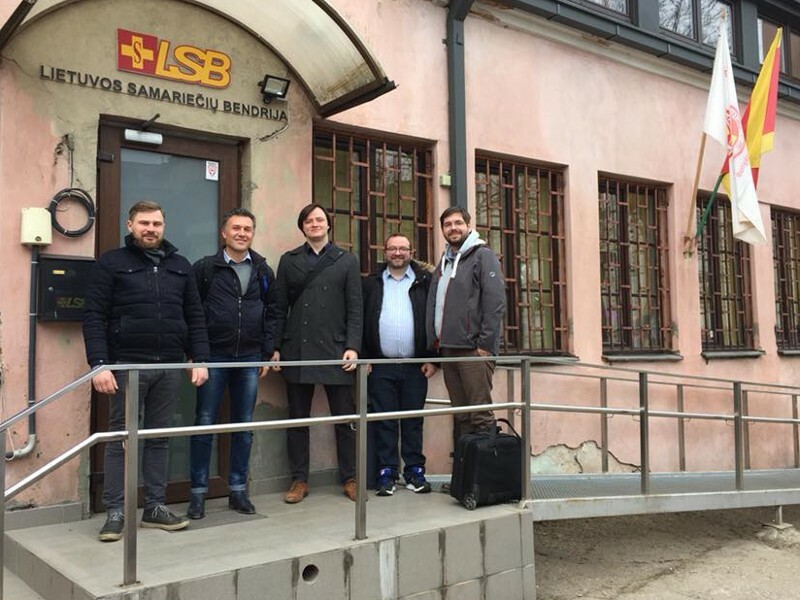 Competence Centre First Aid meets in Kaunas | SAMARITAN INTERNATIONAL e.V. The SAM.I. competence centre for first aid met from 25-26 March in Kaunas, Lithuania. The local branch of LSB hosted the meeting for the first time. The participants from ASBÖ, DPA, LSB and WK took further steps in planning the follow-up to 2016s successful first aid awareness event in Brussels. The follow-up event, scheduled to take place in the context of Restart-a-Heart-Day 2018, will serve to reiterate the expert group’s recommendation to foster EU-wide recognition of first aid certificates. Other topics on the agenda included the upcoming publication of the revised SAM.I. internal certificate and a recently conceptualised project application for a European train-the-trainer exchange with a focus on volunteering. The next meeting is set to take place in July. LSB will reprise their role as hosting organisation.